"My vision is to make this a tourist spot for Covington." 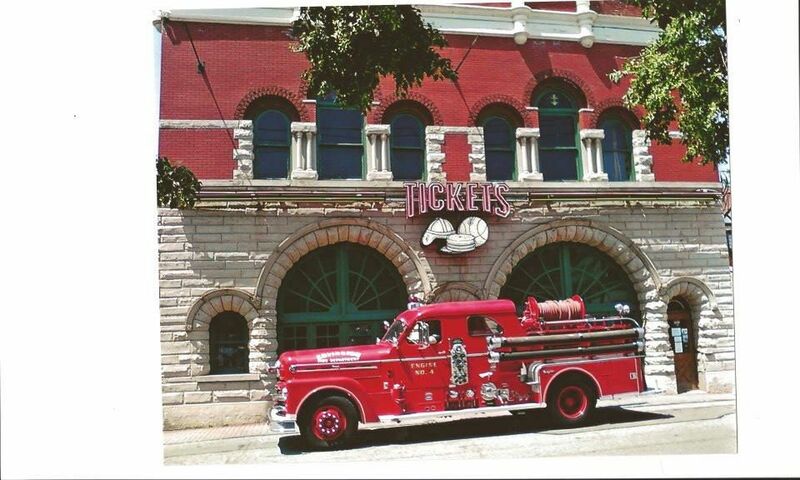 Jim Brautigan is opening the Firehouse on West Sixth inside what used to be a Covington Firehouse, Mick Noll's Covington Haus, and was most recently Tickets Sports Cafe. Brautigan spent eight years working at Tickets which closed earlier this summer. Since that closure, Brautigan and his team have been hard at work painting, cleaning, and preparing the space for its next life as a family-friendly, Covington-centric restaurant and music venue. "Everything is local," Brautigan said. His meats and produce will come from Economy Meat Market and the Covington Farmers Market, he'll have herbs from Garden Grove Organics, dance lessons from Step-N-Out Studios, and art by local painters. "As much as possible we are doing everything in Covington." 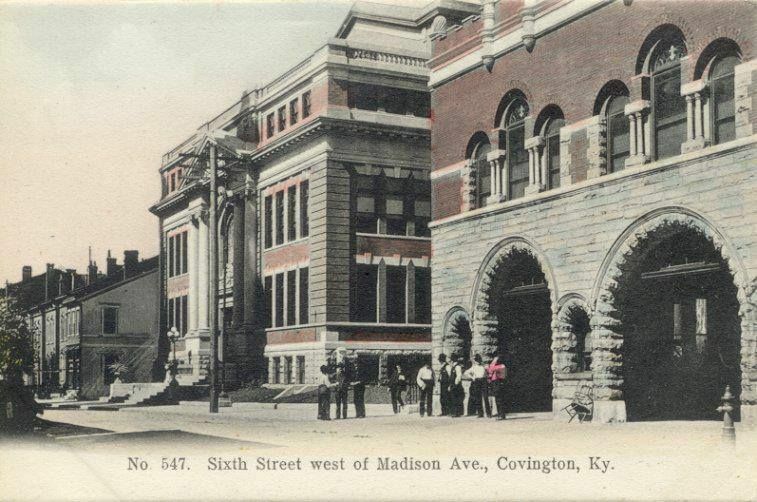 The Firehouse's location is an important one as it lands right in the middle of the corridor that connects Downtown Covington to Mainstrasse Village, a stretch of road that the City of Covington was encouraged to treat seriously as a way to connect the two commercial districts. "The City of Covington is looking for a corridor between Madison and Mainstrasse and we hope to be that," Brautigan said. The Mother of God Church is a local landmark that sits directly across the street. "The City will like it when it's all said and done." For Brautigan, the idea of turning Tickets into his own venture was, as he phrased it, "turning a mole hill into a mountain". The former owner of Tickets is a longtime friend and suggested that Brautigan consider his own place, so he started making calls. "I just decided one day that I'd do it," Brautigan said. "Everyone says it's such a great space, why doesn't someone do something with it?" The two-level structure still features many elements from its past and the first floor will be home to the restaurant while the second floor, where the firemen used to sleep, will be a live music venue. Frank Hulefeld, of the Madison Theater, will help book artists, Brautigan said. While Tickets focused heavily on sports, the new business will broaden its approach. While weekends will still be popular at the place for sports fans, "it's the other six nights of the week that we have to worry about." That's where special events like dance lessons and live music come in. Brautigan promises performances by bands five nights a week. "Every day there has to be something," Brautigan said. The second floor also features a large outdoor patio and he expects to host private events upstairs, too. The Firehouse on West Sixth will open softly on Thursday for the Bengals preseason opener and will open again on Friday for the preseason opener of the Packers. An official opening is set for 11:00 a.m. on Monday when the restaurant will have its first regular hours and then the next Saturday will be the grand opening celebration. The Firehouse will employ 32 people and will also be looking for employees, "so just pop in," Brautigan said. He's also offering free drinks to cops and firemen in addition to 15% off their bills. The menu features items like brats & metts, sandwiches and wraps, burgers, Cincinnati chili, fried pickles, and desserts. Check out the Firehouse's full menu by visiting its Facebook page.